This beautifully designed quilted coat by Emreco is sure to be popular this Autumn/Winter season. 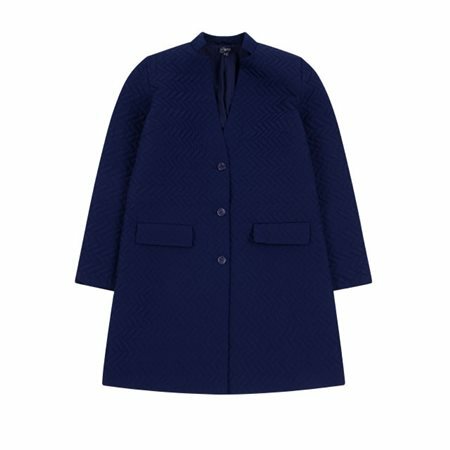 The rich navy colour has been beautifully quilted into a warm coat that sits perfectly with button closing, deep front pockets and neat little collar. Wear this coat over jeans and tops for a casual look or dress it up by pairing it with dresses and suits, either way it will look great.